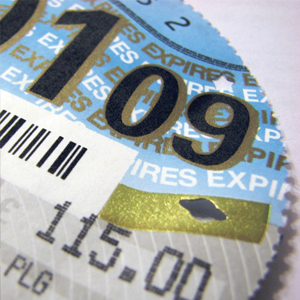 The quantity of untaxed vehicles on Britain’s streets is currently three times the level it was before the paper tax disc was abolished three years ago. Department for Transport figures show that owners have failed to pay or renew vehicle excise duty for 1.8% of vehicles – almost 700,000, mostly cars and light goods vehicles. The numbers mean the Treasury could be losing up to £107m a year in unpaid tax, according to government estimates. Its equivalent, a biennial roadside survey from 2013, showed a rate of just 0.6% – around 210,000 untaxed vehicles on the road – in the last full year before the paper tax disc was abolished in October 2014. The rate rose to 1.4% in 2015, but has surged again this year, a development described as extremely concerning by motoring groups, who warned essential revenue for road improvements would be lost. The Driver & Vehicle Licensing Agency, better known as the DVLA, collected £5.87bn in duty in 2016-17, more than £200m less than it collected in 2013-14 before the changes. The fall is attributed in part to cleaner cars liable for lower tax. The latest study will renew debate over whether removing paper discs has stoked tax evasion – whether deliberate or through forgetting to renew without the visual reminder in the vehicle’s windscreen. DVLA data this year showed more than twice as many vehicles were being clamped for unpaid tax than in the year before paper discs were abolished. An AA survey last month found an estimated 3 million drivers have kept their redundant paper disc displayed, many as a reminder to pay. The highest rates of vehicle tax evasion were found in the West Midlands, at 2.1% and the north-west (2.0%). Almost 6% of motorbikes were untaxed. The scrapping of the paper disc was accompanied by changes to the rules on selling cars, with tax no longer carried over to a new owner. While the proportion of resold and untaxed vehicles has fallen since 2015, the data suggested the reforms were still catching some drivers unawares, with a third of untaxed vehicles having recently changed hands.